It’s that time of year. The sun is blazing and the theaters are packed! I’d like to start a new series, taking a personal look at Summer movie seasons of years past. In each 7 Summer Movie Memories entry, I’ll select seven movies for each year. The retrospective is more a look at the overall season, rather than individual films, so the selections can be movies I have or haven’t seen. I’m picking movies by how I remember them from the season as it happened, so excuse any randomness. Once I picked the first seven that I could remember, I went in and put them in order of their release. After running down the main seven, I’ll give some quick “awards” that may or may not include selected movies. Make sense? Great! The first year is one I picked fairly arbitrarily. I turned 12 this Summer, and there were a number of films I was hugely anticipating. I was starting to take a greater passing interest in “grown-up” films, and although my parents didn’t let me see more than the “Marvin’s demise” scene in Pulp Fiction, I couldn’t help but notice the proliferation of independent sensibilities in mainstream movies. All that said, this Summer would feature a Batman movie, which immediately becomes my default “most anticipated of the year”… especially at age 12! This is a great example of a perfect-looking summer thrill ride with gripping performances and edge-of-your-seat suspense. The only problem is that I haven’t seen it! That’s right, this is one of the few Tony Scott movies I’ve always wanted to catch up with, but haven’t been able to. Being an alumni of the University of Alabama certainly compounds my guilt. I remember the marketing for Crimson Tide quite well, and its score became a staple of late 90’s action trailers, most notably in the trailer for The Lost World: Jurassic Park. Maybe I should put on a double feature of Crimson Tide and Unstoppable one Saturday afternoon. I’m not sure if this is a scandalous statement, but I consider Die Hard with a Vengeance to be a textbook example of a great summer ride. Not only do its set pieces grow more complex and taxing as the story progresses, but its characters grow closer and, simultaneously, more antagonistic. 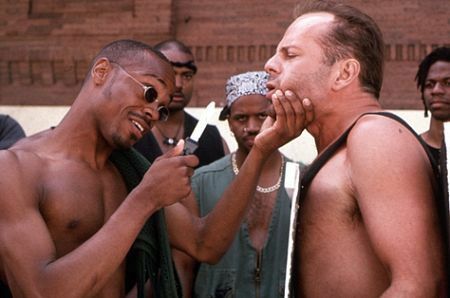 John McTiernan puts on an action film clinic, and the chemistry between the haggard, hungover John McClane (Bruce Willis) and Zeus (Samuel L. Jackson) is off the charts. This is another one that I was not able to see in theaters – though my older brother and friends were allowed – but my dad watched it with me on VHS later that year, and has become a staple of summer lounging for me ever since. One thing that makes Die Hard with a Vengeance such perfect hot-weather viewing is its setting: a heat wave-ridden New York. Hot town, summer in the city, indeed. BOOM. I did a double take when I discovered in my research that Braveheart was a summer release. It seems tailor-made for awards season and, in fact, it won Best Picture that year at the Academy Awards. This is yet another entry that I did not see in the theater, but got to see as soon as it hit VHS. Braveheart single-swordedly resurrected the epic genre, putting one of the world’s biggest movie stars in robes and leather in front of thousands of extras. The film really holds up well, and its climactic torture scene stands as a shocking, emotional sock in the jaw. Ah, finally we get to one of my few theatrical experiences of 1995. Yes, Casper. Now, let’s be fair. This film is not that bad. Not only are Casper‘s visual effects quite a leap forward, but the central story is much stronger than any of today’s CGI-integrated throw-backs like Yogi Bear or Alvin & The Chipmunks: The Squeaquel. The film’s director, Brad Silberling, has carved out an odd niche for himself, creating dark, moody, and often inappropriate family fare like this, Lemony Snicket’s A Series of Unfortunate Events, and Land of the Lost. While I can’t call Casper a great film, I will say that I found it surprisingly enjoyable in 1995, considering I was a 12 year old kid that was ready to move on from adaptations of old Harvey Comics. I’m still waiting for that Spooky the Tuff Ghost spin-off. If a Batman movie was my automatic “most anticipated” movie of a given year in the 1990s, then a Michael Crichton adaption was my automatic second place. I’m not sure if there’s ever been a film I anticipated more than Congo. It ranks up there with films like The Lost World: Jurassic Park, Superman Returns, and Indiana Jones & The Kingdom of the Crystal Skull as a movie I could literally not wait for. My anticipation for Congo was rooted in my love for the book, which I still find to be Michael Crichton’s most fun and bizarre work. 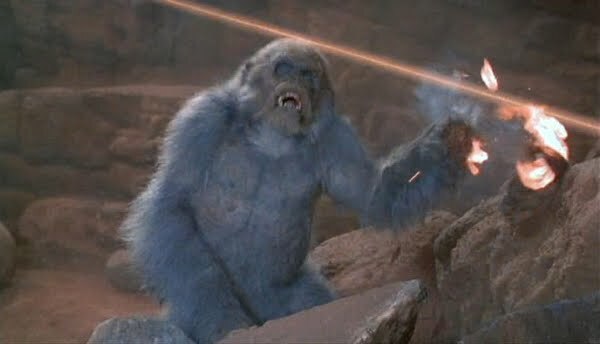 I remember being skeptical of the Tim Curry character that Entertainment Weekly revealed had been constructed for the film, but I was encouraged by stills from the film and news of technical advancements made via the construction of Amy, the film’s protagonist gorilla. When I finally went to see the film with my dad and brother, I was brutally disappointed. It felt cheap, tawdry, and insincere. In retrospect, I can see it as a flawed, yet fun ride, which I was shocked to find out was written by Doubt‘s John Patrick Shanley. Truly, Stan Winston’s animatronic Amy is a marvel, as is Jerry Goldsmith’s underrated score, which I gave my best friend for his birthday… much to his confusion and chagrin. Clearly, no one was amped for Congo like I was in 1995. Though Congo was a disappointment, nothing could quell my excitement for the third Batman film, which I knew would be a soft reboot in terms of style and casting. Although I actively disliked Jim Carrey, I was encouraged by the trailer’s allusions to the 1960’s Frank Gorshin Riddler, as I was a fan of the Adam West campfest before I saw Tim Burton’s “serious” film in theaters in 1989. As I had done with Batman Returns, I read the novelization for Batman Forever ahead of time, and was entranced by the film’s marketing, desperately wanting the McDonald’s commemorative glasses and making sure I caught the music video for Seal’s “Kiss From A Rose” every morning on VH1. The difference between this film and Batman Returns, however, was that I loved Batman Forever. Although I clearly saw a difference in story quality when compared to Batman: The Animated Series, which at that point was about to start its third season, I was on board with the film’s bombast and color. I was no fan of Burton’s gruesome take on the Penguin and over-sexualized Catwoman… although I guess in the meantime something had changed, as I found Nicole Kidman’s breathy Chase Meridian to be very alluring. I had a lot of fun with Batman Forever, although the film hasn’t aged well. As with Congo, the film’s score should get a mention. Elliot Goldenthal really did something interesting and unique without betraying the work done by Danny Elfman and Shirley Walker. 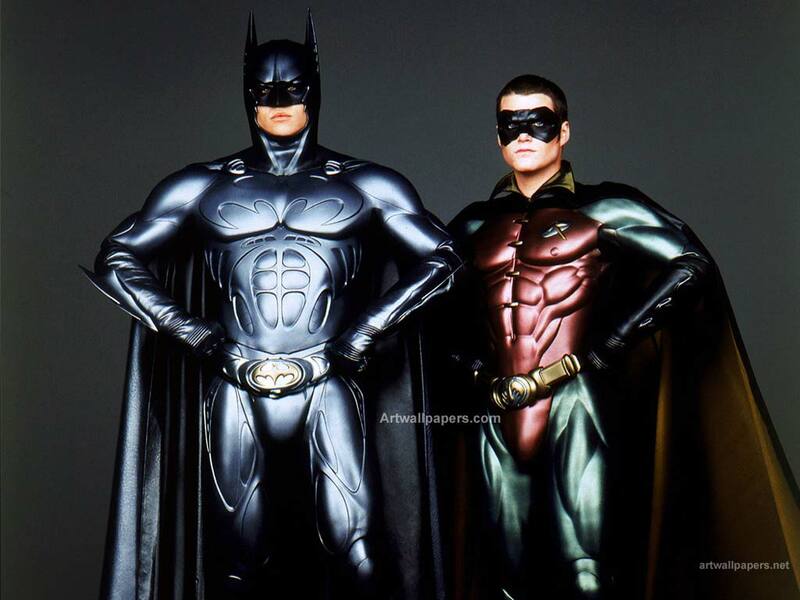 For me, in 1995, Batman Forever was a triumph, and I could not wait for the next chapter in Batman’s cinematic journey… but we’ll get there eventually. And, finally, we arrive at what is not only the best film of the Summer of 1995, but also one of the best films of the 1990s, and one of the best films about America in movie history. Ron Howard’s epic and absolutely gripping look at the peak of Space Age hubris and American ingenuity is an absolute masterpiece, its first half functioning as a brilliant and winsome look at the culture and expectations of the NASA community, and its second half becoming an absolutely white-knuckle thrill ride, as our heroes (led by Tom Hanks as Jim Lovell) struggle to return home. The film’s launch sequence and accompanying score are absolutely extraordinary. 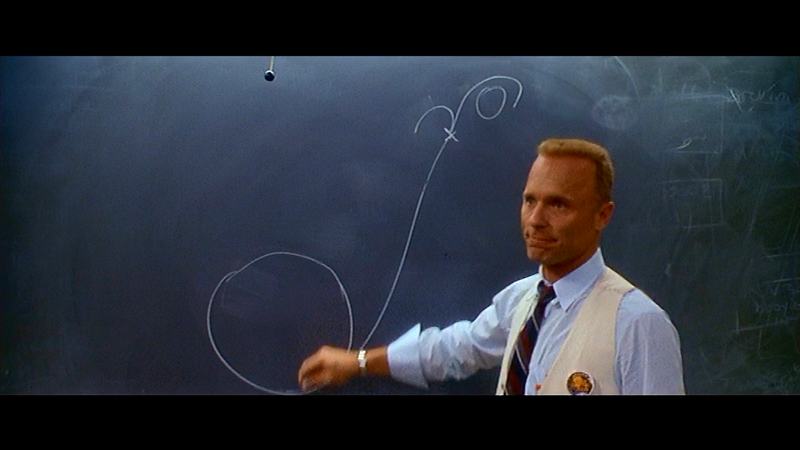 As Independence Day approaches, I highly recommend you revisit this bona fide classic. That’s it for 1995! I’ll be back in a little while with another year of 7 Summer Movie Memories! In the meantime, check out the site for our filmmaking group’s latest film, The Nocturnal Third. We recently ran an unsuccessful Kickstarter campaign to raise distribution funds, so the more Paypal donations we can get on via the site, the quicker we’ll be able to get our films onto visible streaming platforms! Also, be sure to catch up on any Film Nerds podcasts you’ve missed, including Cinematrimony‘s talk about Snow White & the Hunksman (sic) and my conversation with Matt Scalici about Prometheus!